InfoBeans Technologies is engaged in software development services, specializing in business application development for web and mobile and operates at Capability Maturity Model Integration (CMMI) level 3. The company’s services can be broadly categorized as Storage & Virtualization, Media & Publishing and eCommerce. Infobeans Technologies also offers automated testing services, customizable enterprise cloud solution for IT helpdesk, asset management, enterprise service management, and virtual support workflow. 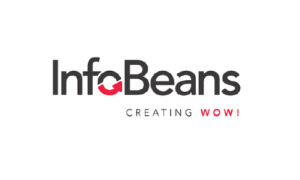 Infobeans Technologies operates out of two facilities in Indore and Pune employing more than 600 people across locations. As it is prominently in exports, it has established local presence in the North American market by way of a 100% subsidiary, which has two offices located in California & Georgia, USA. Infobeans Technologies IPO allotment status is now available on Link Intime’s website. Click on this link to get allotment status. HOW MANY DAYS WILL HOLD THIS IPO ???????? What is advisable with this? Any short term and long term target? I got allotment of infobean. Any idea when is it getting listing on sme?? That’s wrong , I bid on last day and I got. When shall listed infobean Technology ???? Looks like it will be good investment. Latest number shows retail part is oversubscribed. is it a goog ipo to invest? and can we sell them on the day of listing? Without doubt, this is going to be a multibagger stock. Keep holding if you get shares. Please share review for short term apply or not? I want to know about this IPO Infobeans Technologies. Is this like normal IPO ? Why this company has 2000 share @ 58/- but the normal IPO was maximum 15,000/- rupees deposit. Whether this ipo is good or not please say whether I apply in this IPO. This is SME IPO, in which application is Rs. 100000/- an above, but in main board ipo’s, application size remains Rs. 15000+, it is the difference between SME and Main Board IPO. how to apply for sme ipo?? it is not coming in hdfc sec. This is Fixed Price Issue…. Take note that this issue being fixed price issue, make only one bid at Price of Rs. 58/- and should not tick on cut off option. Hi, I have applied for the same online, but i have ticked on cut-off option. Above you said should not tick on that. Please help me what is the difference? what will happen now? 36.8 crore is very big amount for SME IPO but valuation is attractive. It will be a hit and more popl will get allotment too..